For over 25 years, David has led construction and development teams delivering projects in mixed use, hotel, residential, commercial, healthcare, airport and telecommunications sectors. He is a Chartered Builder, gaining a BSc in Construction Management and a Masters Degree in Project Management. He is a member of the Chartered Institute of Building and Association of project Management. 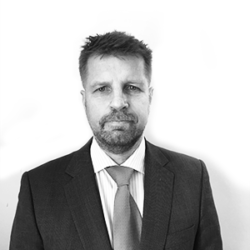 His formative years were spent with Bovis Land Lease, followed by 4 years at a leading Quantity surveying Practice, Gleeds, before setting up and running his own Project Management Company, Helios Project Management. During his professional career, he has advised and worked with many high profile Organisations, Developers and Architects, including Marks and Spencer, BAA, Rezidor, Marriott, Hilton, Precis Holdings, Sainsbury, Imperial Property Company, Lowy Group, SMC Alsop, Richard Rogers, Jestico and Whiles and AWW. Throughout those years, David has acquired tremendous experience by overseeing a numerous amount of projects worth £100m in student accommodations, £260m in hotels and £150m in other developments. David has overall responsibility for the company and has been instrumental in building a steady and trusted operating brand.